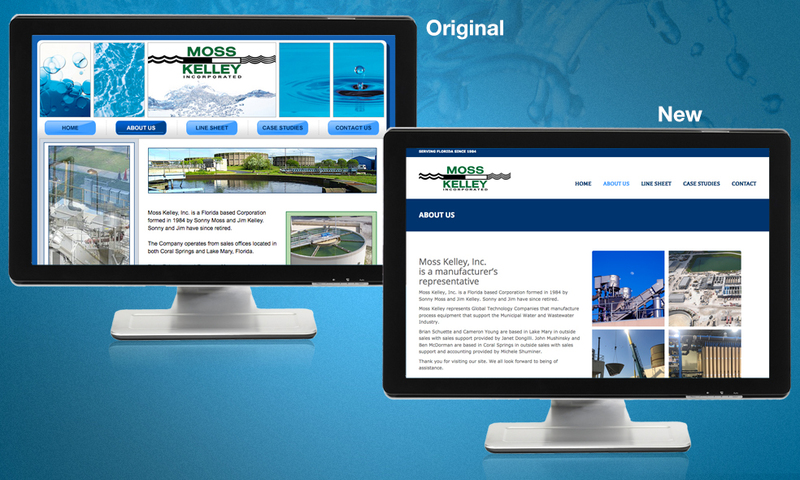 Moss Kelley Inc. is ummhumm | creative studio’s Spotlight Client of the Week! The website was handed off to us by a friend and colleague in 2011 for routine maintenance and updates. 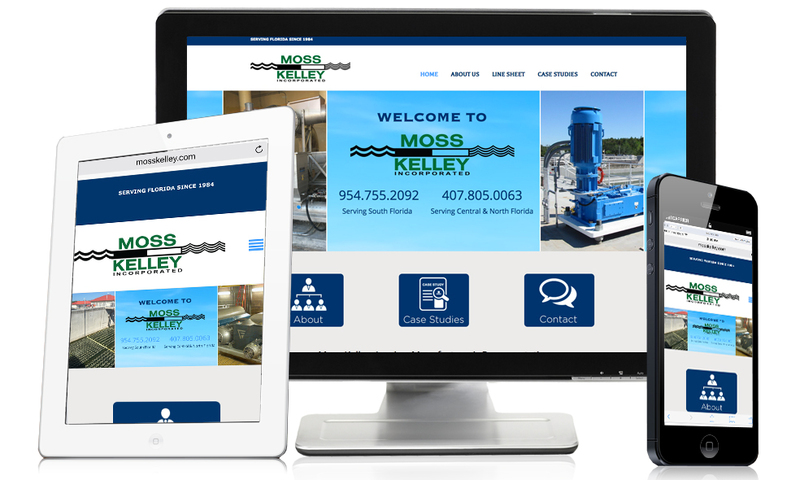 After six years of updating and adding new text, images and PDFs, we approached Moss Kelley Inc. and outlined a new content management system (CMS) that would enable us to complete the updates and revisions quickly and efficiently. They were very excited about the prospect of getting a new, modern website. We landed on a WordPress CMS that was robust and flexible enough to handle our needs. Along with a new design, we updated the animation. 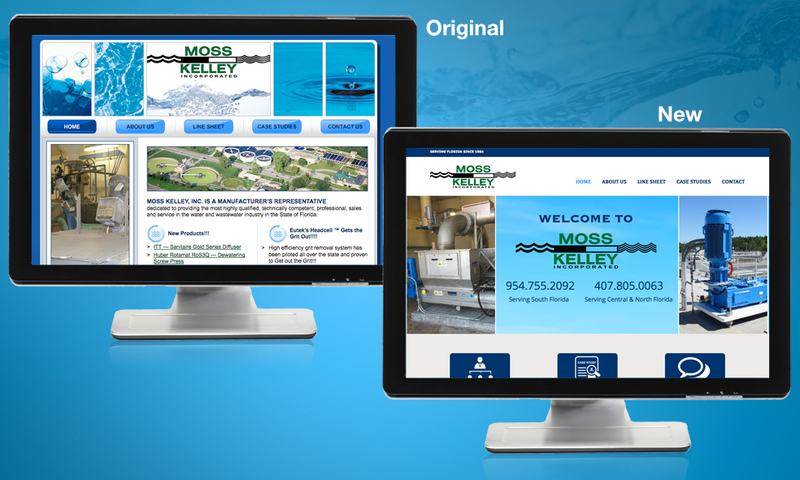 Responsive, modern design based on Bootstrap 3 framework enabled us to provide exactly what Moss Kelley Inc. was trying to achieve. Retina ready, wide layout and metro style post style rounded out the design. 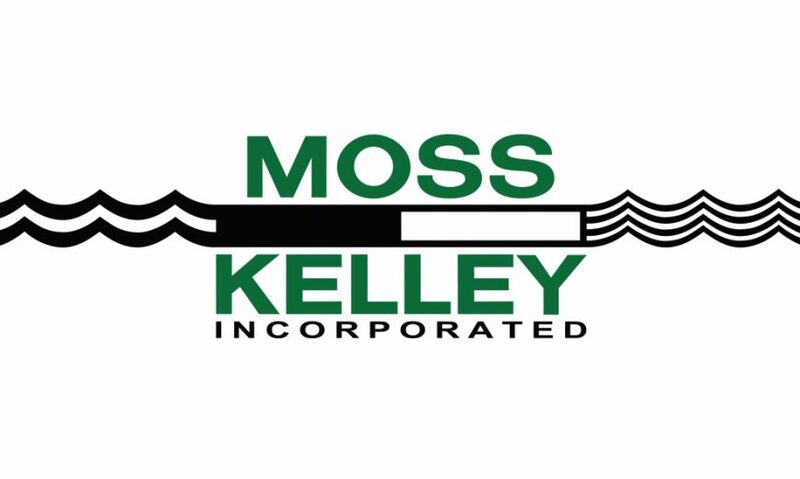 Moss Kelley, Inc., a Florida based Corporation formed in 1984 by Sonny Moss and Jim Kelley, is a manufacturer’s representative. Although Sonny and Jim have retired, the company is still going strong with two locations in Florida (Coral Springs and Lake Mary). 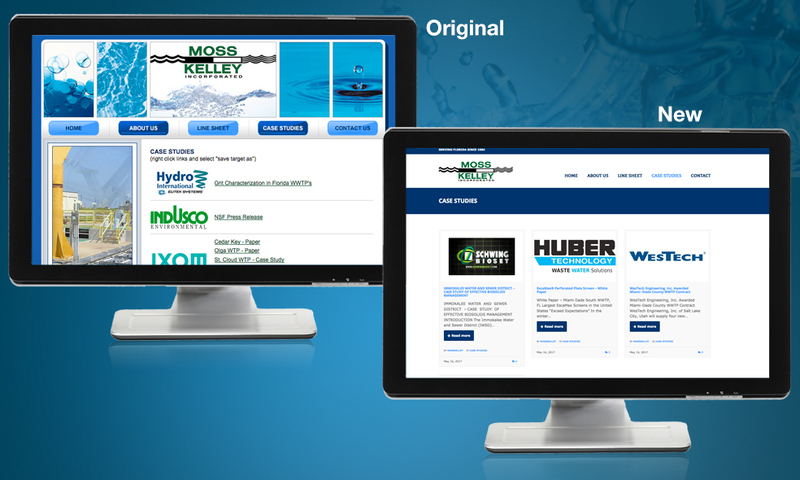 Moss Kelley, Inc. represents Global Technology Companies that manufacture process equipment that support the Municipal Water and Wastewater Industry.